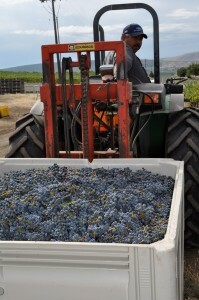 Tapteil Vineyard was first planted in the spring of 1985 and now totals 25 acres of three varieties–Cabernet Sauvignon (15.5 acres), Cabernet Franc (2.0 acres) and Merlot (7.5 acres). 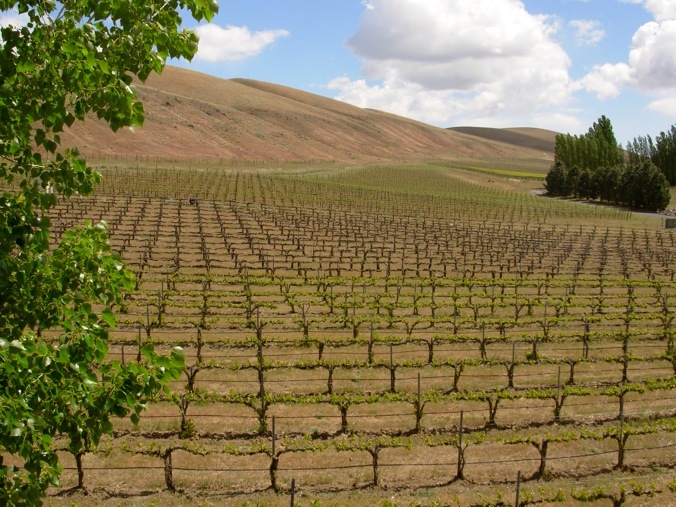 The vineyard lies between 740 and 880 feet in elevation on predominately silt loam soil. 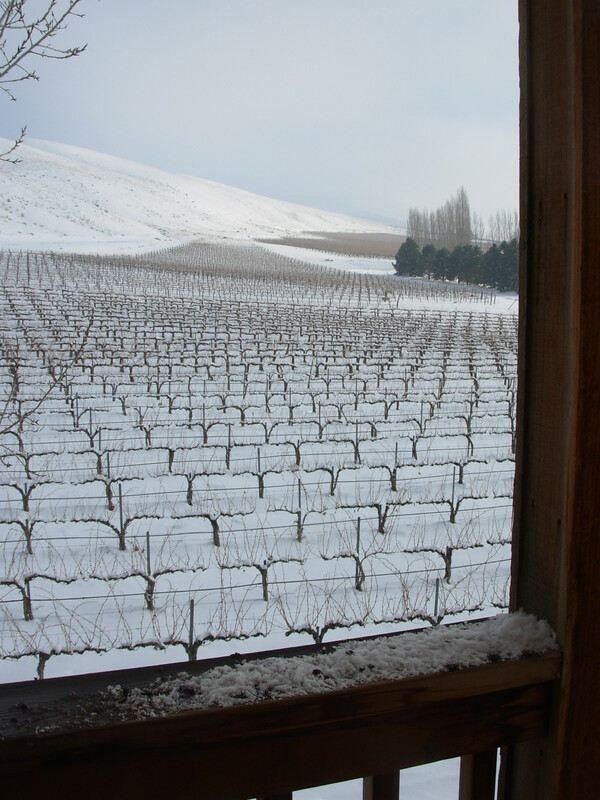 Site selection had a basic focal point – find the best site at which to grow Cabernet Sauvignon. 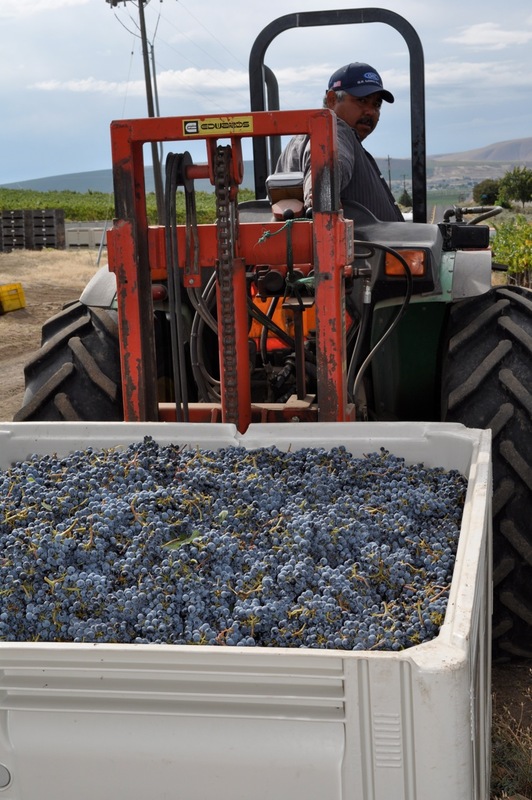 This site, together with careful vineyard management, provides wine grapes of exceptional quality and shows why Red Mountain has continued to be the source for high quality wines. 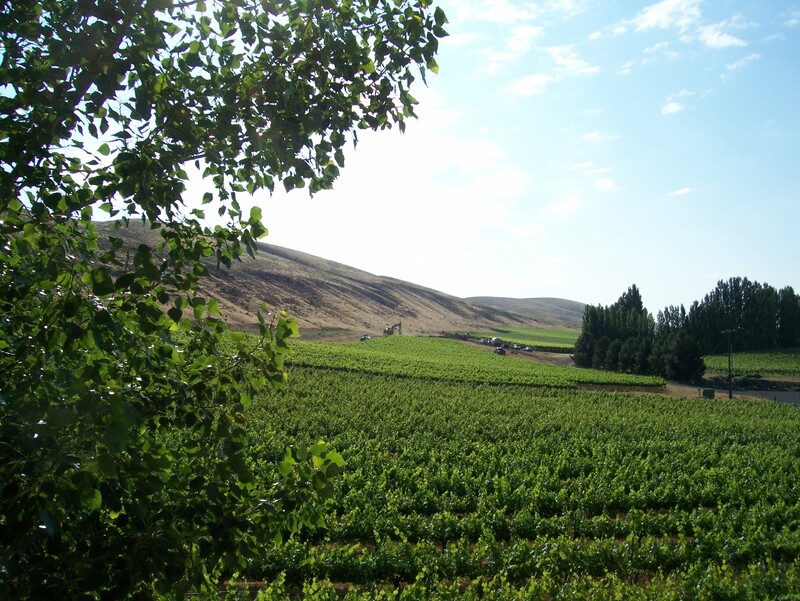 The name “Tapteil” comes from the Sahaptian (the language of the Yakama Indians) term for “narrow” and refers to the narrow portion of the Yakima River as it flows south and east of Yakima. 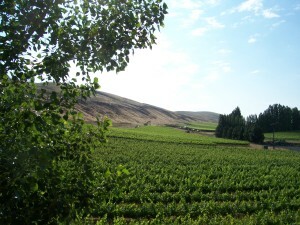 The term Tapteilmin or “narrow river people” was used to identify those living along this portion of the Yakima River. 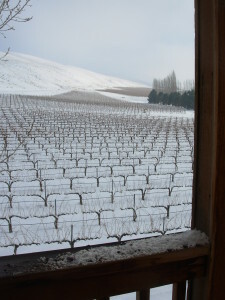 “Quality wines start in the vineyard.” The staff at Tapteil Vineyard continually focus on viticultural practices and techniques affecting grape quality canopy management, training, pruning, thinning, water management and pest management. The use of insectories, either as islands of plants or in corridors, can improve biodiversity and can be used as a tool in approaching pest management. 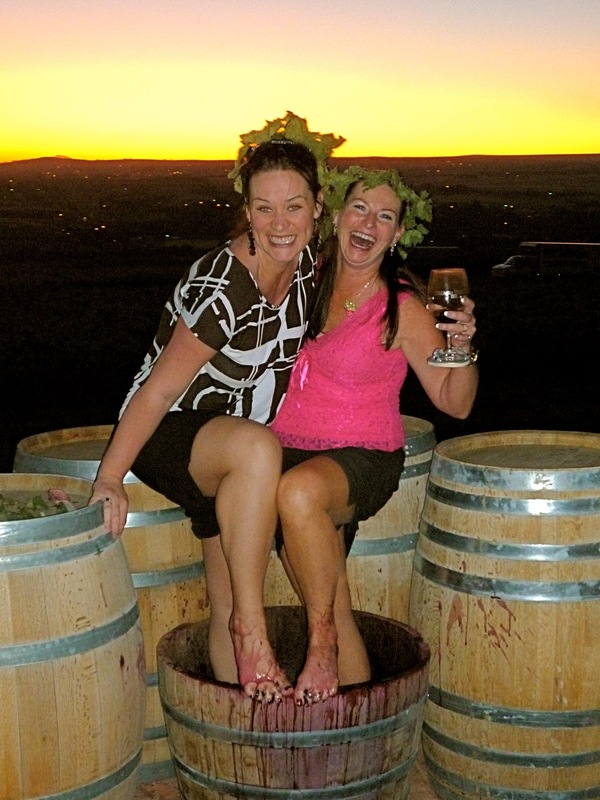 Increased focus on sustainability is another important aspect of our viticultural philosophy. Guidance from the Washington Association of Wine Grape Growers (WAWGG) and Vinewise, the Washington Guide to Sustainable Viticulture, helps focus attention on sustainable viticulture to ensure economically viable, socially supportive and ecologically sound businesses for growers and vintners.